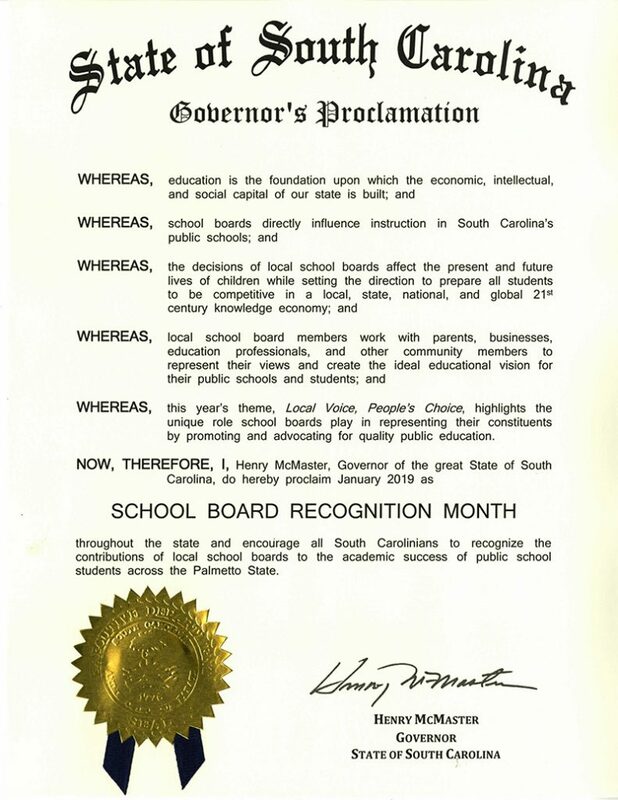 Download Governor McMaster’s 2019 School Board Recognition Month proclamation. 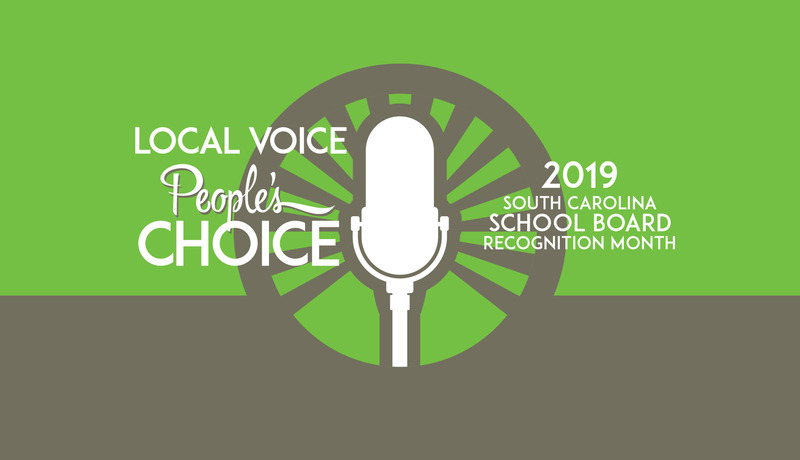 Salute the more than 600 school board members in January 2019 during South Carolina School Board Recognition Month. 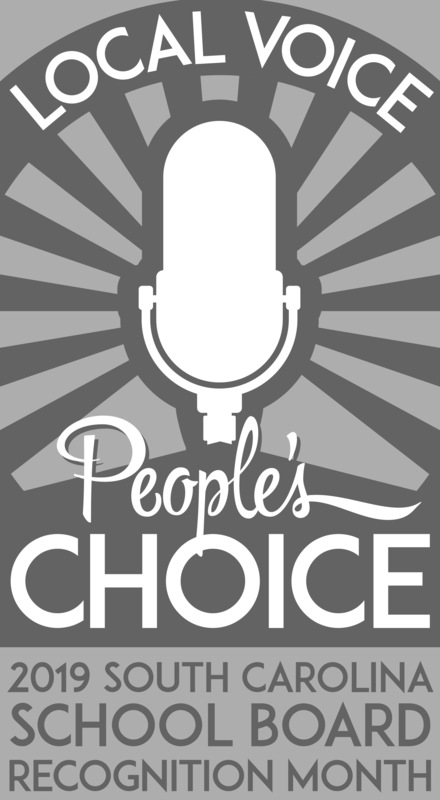 The theme — Local Voice, People’s Choice — highlights the unique role school boards play in championing and advocating for quality education and the ownership they take for governing their local public schools. 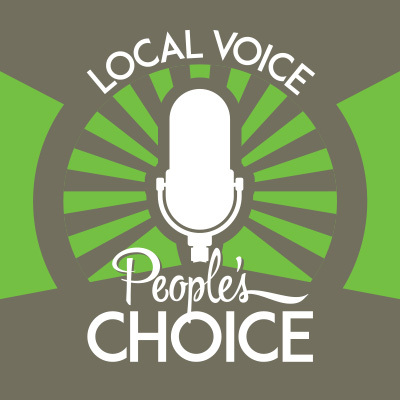 As the elected/appointed representatives of the people in their local communities, they represent their local communities’ voice and vision for their public schools. To help salute school board members throughout the state, choose from a menu of ideas and tools including sample letters to the editor, public service announcements and more. Get dozens of ideas to celebrate School Board Recognition Month. Some of the newer ideas incorporate the use of your district and schools websites and other social media. This news release can be submitted to the local media for publication. Be sure to add information about special ceremonies or events you are planning for your board members. Consider including a “fact sheet” about your district and/or board members with photos, if available. Sample letters that can be submitted to your local newspaper for publication. Use letters to inform the community about School Board Recognition Month and to send a positive message about public education and your district’s accomplishments. Ask a parent, booster or business partner to sign letters or compose their own. This article can be adapted for use in your district newsletter, as an article in your local newspaper, as a letter to the editor or as the foundation of a speech. An article from the National School Boards Association and education quotes from a variety of sources that can be used as resources, fillers in newsletters, or in preparing remarks or gifts. The quotes can be used in similar ways as well as in social media outreach, letters-to-the-editor, or materials created by students. Sample resolution that your city or county councils can pass to proclaim January as “School Board Recognition Month” in your community. Provided here in a variety of formats and sizes, logos can be used in newsletters and on your website.